Haiti Rehabilitation Foundation (HRF) is a non-profit, 501c3 organization founded with the mission of educating Haitians in the art and science of Physical and Occupational Therapy. "For those that want to help Haiti in a lasting way, FSRL is a homerun; it is an efficient way to spend time and money as the work it is doing will endure. The school is providing life changing opportunities not only for the students but also for the people of Haiti as it is addressing their rehabilitation needs." Yet, there are only about 50 Haitian PTs and 1 Haitian OT – all of whom received their degrees from the Dominican Republic because there was no such opportunity in Haiti. Haiti needed its own OT and PT 4-year degree program! This credential allows graduates to operate independently as therapists. FSRL opened in 2015 to provide Haiti with its own, highly qualified OTs and PTs. But we need YOUR help to fund the FSRL program. 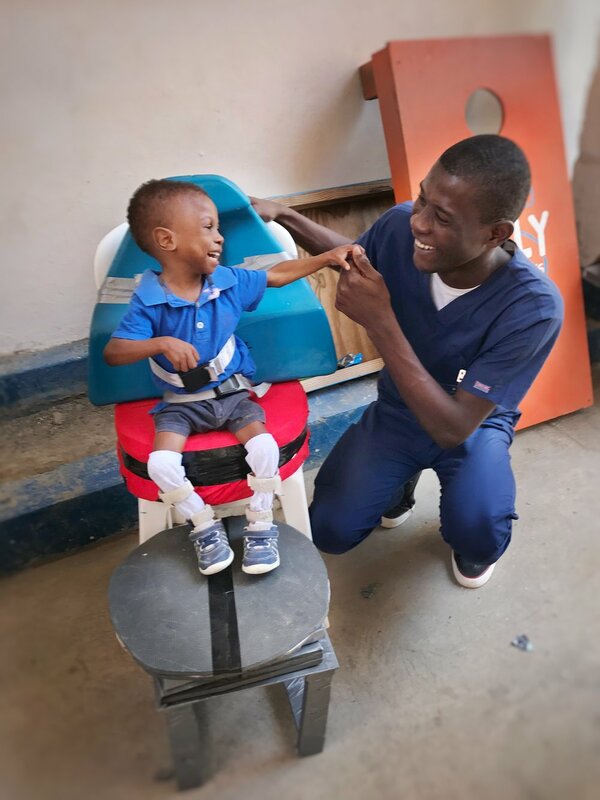 Despite the growing need for physical and occupational therapists within Haiti, lack of access to education and high costs have prohibited many from receiving degrees. 35 students enrolled in FSRL - a massive leap forward in helping the people of Haiti get back on their feet. Spreading the word and raising awareness is a critical piece of our mission and fundamental to our continued growth. On the ground there is a need for Occupational and Physical Therapists who can help volunteer as faculty members as well as translators. Every dollar counts towards this life-changing mission, helping the people of Haiti rebuild their lives and support their families.